How did we engage people to learn about the abstract idea of carbon footprint? This project includes two interactive installations: In the Balance and On the Menu, in collaboration with The Perennial restaurant, John Wegner, Weichung Joong, Sida Li and Asian Art Museum. 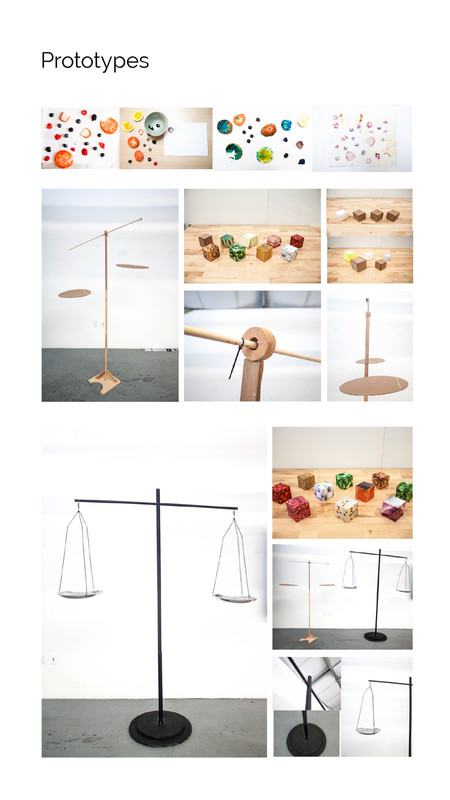 The design purpose is to engage people to learn about the very different carbon-dioxide consumptions of 10 most common ingredients while playing with the pieces. 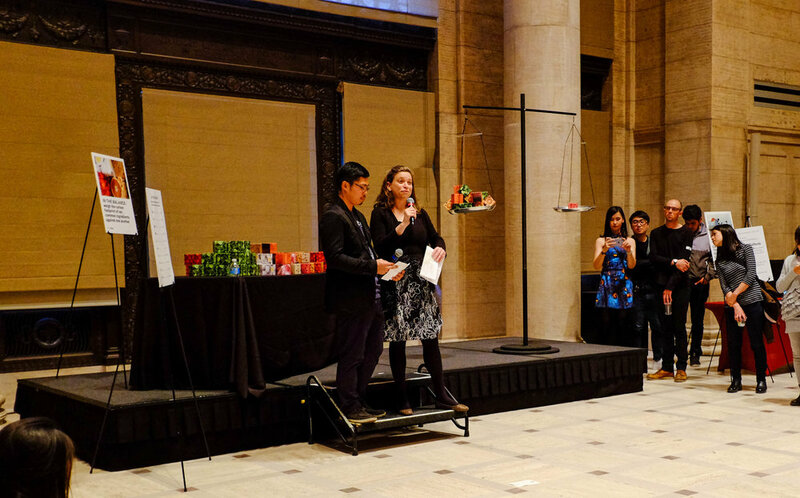 The installations were displayed at Asian Art Museum, Chinese Culture Center, FoodInno Symposium, California Academy of Science and BlackRock SF. This installation includes a human-size scale and over 200 cubes that represent 10 main ingredients in our diet. 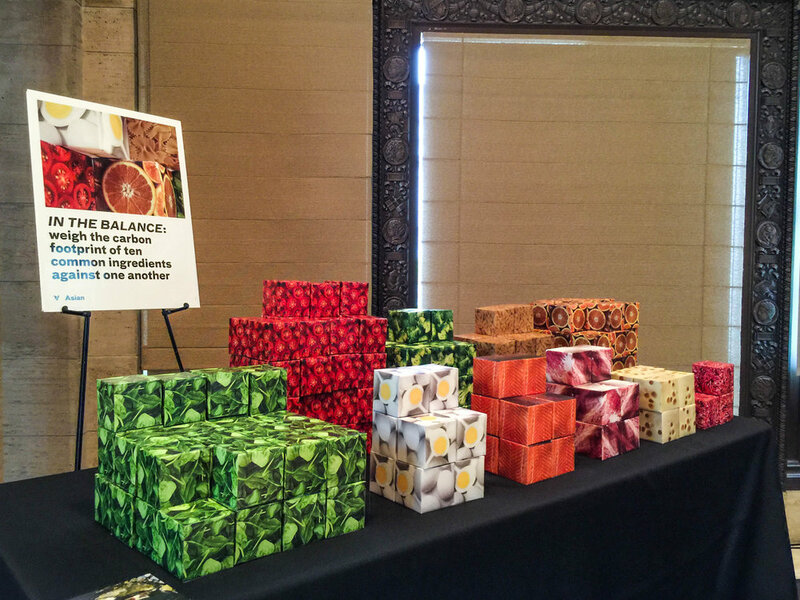 The weight of each cube represents the actual weight of the carbon dioxide emission of each ingredient in the same weight. 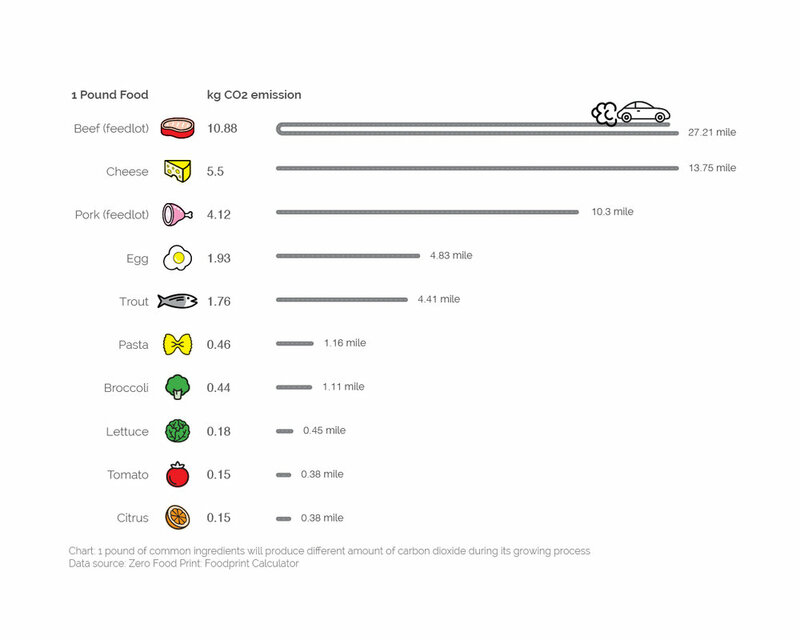 For example, 2 ounces of beef is 72 times heavier than 2 ounces of tomatoes. The project has been iterated by California Academy of Science in San Francisco as Carbon Cafe. You can find out it every Thursday night at the Planet Vision session. Shots at Cal Academy of Science.